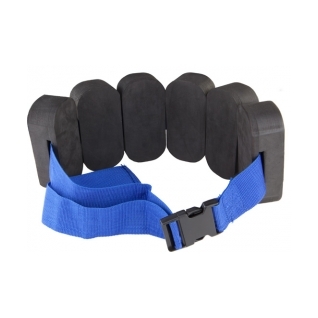 Boost your water workout with the Aquatic Flotation Belt! Featuring high density construction, the LAQBLT provides excellent flotation to help maximize your full body workout routines. The adjustable belt and clip system on this aquatic fitness equipment accommodates various body types and makes for a secure, perfect fit every time. Constructed with ergonomically designed EVA foam, it is one of the most soft and comfortable aquatic flotation belts on the market. For use during aquatic fitness workout routines. I have not yet tried my flotation belt, but I have other Tyr products and expect it to perform as the others. The fit was great, so I am confident it will do the job. Try Flotation Belt works great! Works great for deep water jogging. This is a great product and is geared for seniors. Most of similar products are for kids. The only problem is that it is so buoyant that it tends to move up away from the waist. If there was an optional device that could keep it at waist level, it would be even better.